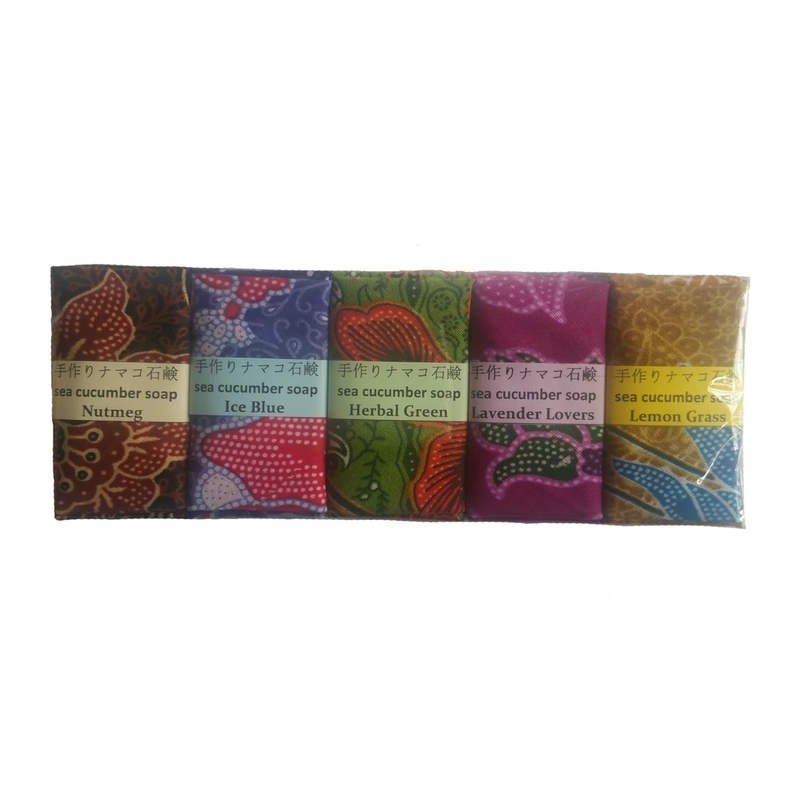 Soap with EXELLENT healing property which contains natural mineral from sea cucumber extract. A recipe of the healing process of wounds, nourishes, rejuvenates and smoothed skin texture. Sea cucumbers may hold the key to banishing wrinkles, research shows. As we get older, changes in levels of collagen cause the wrinkles in our skin. However, sea urchins and sea cucumbers are able to change the elasticity of collagen within their bodies, according to scientists at Queen Mary, University of London. The researchers identified the genes for the peptides, or messenger molecules, which controlled the collagen, with possible implications for human beauty. Professor Maurice Elphick said: "Probably the most exciting discovery from our research was finding genes encoding peptides that cause rapid stiffening or softening of collagen in the body wall of sea cucumbers. "Although sea urchins and sea cucumbers may not look much like us, we are actually quite closely related to them. "As we get older, changes in collagen cause wrinkling of our skin, so if we can find out how peptides cause the body wall of a sea cucumber to quickly become stiff or soft then our research might lead to new ways to keeping skin looking young and healthy." The team analysed the DNA sequences of thousands of genes in the purple sea urchin Strongylocentrotus purpuratus and the edible sea cucumber Apostichopus japonicus. They specifically searched for genes encoding peptide messenger molecules. Prof Elphick said: "We also found that sea urchins have a peptide that is very similar to calcitonin, a hormone that regulates our bones to make sure that they remain strong. "So it will be fascinating to find out if calcitonin-type peptides have a similar sort of role in spiny-skinned creatures like sea urchins. "These types of advances in basic science are fascinating in their own right but they are also important because they underpin the medical breakthroughs that lead to improvement in the quality of people's lives." He said advances in genetics were making an increasing number of breakthroughs possible. He explained: "When the human genome was sequenced over a decade ago it cost millions of pounds - now all of the genes in an animal can be sequenced for just a few thousand pounds."